1) How do I get a Birthday or Anniversary message on the Video Board? Click here to have your name listed during the first intermission. *Please allow 48 hours before the game you request. 2) How can I perform the National Anthem at a Rhinos game? The Rhinos are always looking for qualified performers for the National Anthem! We strongly encourage interested parties to send a demo of the National Anthem to the Rhinos directly. Please send anthem demos to info@elpasorhinos.com. Keep in mind that the U.S. National Anthem is requested to be performed a cappella and at a maximum of 90 seconds long. 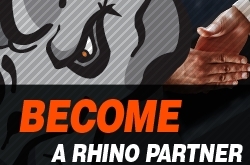 As the schedule allows, selected applicants can potentially be contacted by a Rhino representative for a live audition. For questions or more information, please call 915-479- PUCK or email info@elpasorhinos.com. 3) How can I participate in an in-game contest on the ice? Contest and game contestants are either pre-selected as part of a registered promotion or randomly selected the night of the game based on rules of the contest or promotion. If interested in joining us for a contest, seek out a Game Entertainment Team Member in the arena during the pregame hour and find out which promotions are open that night. Good luck! 4) How can I get a copy of the promotion I participated in? If you participated in a contest or other video element, or if you are just a big fan of a promotion we produced in-game, you can request the video file to be sent to you. 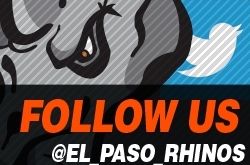 Email your request to info@elpasorhinos.com with the date of game and the name of feature. *Please note that some of our features cannot be duplicated due to copyright restrictions. 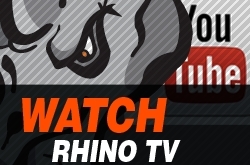 5) How can I suggest a song or video idea to the Rhinos? The Rhinos are constantly seeking new ideas for songs, contests, and video elements and look forward to hearing from our great fans! 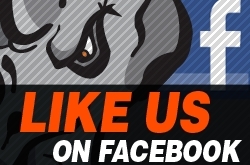 If you've heard a cool song or have any feedback at all, let us know at info@elpasorhinos.com. 6) Can I propose at a Rhinos home game? Ask someone to Prom? Etc. We love to bring Rhinos fans together and if you’re interested in making your proposal to a loved one or other special announcement in front of thousands of raucous hockey fans, just let us know! 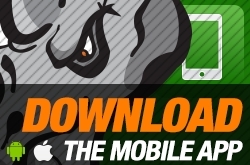 Depending on time to prepare and available space in a game's promotional schedule, the Rhinos Game Entertainment staff can potentially work with you on this very special moment. We don't put up random "Will You Marry Me" graphics in-game because of the high chance your beloved could miss it, but if you decide to request a proposal at a Rhinos game, and the schedules align, we can create a moment unmistakably unique and memorable for you and our fans. 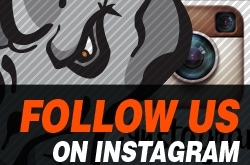 Contact us with your request at info@elpasorhinos.com. 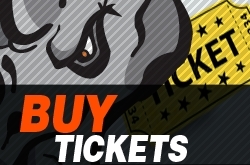 For any other questions you have, don't hesitate to call 915-479-PUCK or email info@elpasorhinos.com!